Mail, admin, fixed an l10n bug in Online; put babes to bed - Chemistry with H. call with T. got N. setup with a wordpress instance. Relatively depressed by the mysql setup and authentication aggravation vs. wordpress and other DB integrated apps - it all seems un-necessarily unpleasant. Played bass & violin at church; stayed for annual church members meeting. Back for pizza lunch, played Sushi Go with Sophie, H. to church to practice; tidied up variously. Watched the next Oceans film together, read stories, bed. Did another astronomy past-paper with H. David over for lunch; J. out to see Lydia, out for a walk on the heath with David. J. back, out to All Saints with H. to practice the Organ; helped Cedric tidy up his babe's party. Home for sliders, chatted to David, put babes to bed. Watched Gataca with H.
Calls with Miklos, Kendy, Lubos, Andras & partner. Admin, documentation. Customer call, Allison over for a fine dinner. Mail, profiling, calls, lunch, more calls, admin; hmm. Network Installed Tumbleweed/Server into a rather old VirtualBox, surprised it failed to boot even after an upgrade, got a nice 42.3 instead. Sync with Kendy, ESC call. Admin, patch review; fixed a couple of bugs idly for fun. Mail chew, full of enthusiasm tried to setup a 300Gb crypted file - gave up waiting after an hour or so of an unusable laptop; bother. Lunch with J. admin, mgmt call, sync with customer. Had fun with babes. Worked very late on admin & built ESC agenda. Breakfast with babes, mail chew, got stuck into admin before realizing I was meant to be in Cambridge for a mgmt meeting. J. dropped me in a hurry - minus phone & PSU. An encouraging set of meetings; good to catch up with Guy, Philippe, Olivier & the local team too. Out for a pub meal in the evening. Herman kindly took me to the station, train home. Up, played bass at NCC; home for lunch joined by David, Jocelyn & Sophie. Talked happily in the garden much of the afternoon. Took H. to practice the Organ for a bit, tea, put babes to bed. Woke early, breakfast, poked at Quartet pieces for the babes to play; ideally hard Viola, easy Violin 2; hmm. Some mail IRC. Lunch. Out to Saffron Walden to enjoy two of their mazes, a lovely day in the sunshine + ice-cream. Home. Moved some async client web-socket puzzle to the next step. Out to Barn Dance in aid of a Burwell Print - babes up late dancing. Mail chew, chat with Florian, customer call, sync with Tor & Miklos. Lunch. Plugged away at tasks in the afternoon. Worked late on client web-socket code. Mail chew; hunted the house for a spare disk, and was encouraged to use Clonezilla via a great image from Taiwan. Call with sales & marketing team. Lunch. BT Phoned up to say I'd run up a $100 phone bill calling India yesterday and could they do something about that; surreal. A number of great new features for our customers & partners, including data-validity - so you can limit the options in a drop-down for a cell - so that they make sense (to Patriot watchers anyway), as well as basic things like Insert -> chart something not present in Word Online (for example). Pondered why Windows 10 fails to boot in curious ways when its disk is copied to another disk without the disk label being made to match; any why it then proceeds on a length series of hour plus long "Attempting repairs". Sync call with Miklos, mail chew; poked at some socket code. Still sad that there is no good C event-loop, and as such no async structure that a nice DNS APIs could fit into; ho hum. Of course there is getdns but it in turn has several dependencies. Customer call much of the afternoon. Pleased to see the free Samsung SSD imaging tool do a great job of moving a Windows install to a new disk. Out to brand practice in the evening at church. Packed the bathroom cold tap washer with a piece of plastic milk-bottle before bed. Mail chew, patch review, planning. Great to see some nice work by Tomi to get Collabora Online support integrated into JODConverter (increasing security), and to see Miklos's nice writeup around Document Conversion there - several of our customers get support for document conversion use-cases that help to improve LibreOffice. All those poor souls still struggling with manual management of LibreOffice processes for document conversion can relax & use something sensible instead. Weekend mail fun, poked partners, sync. 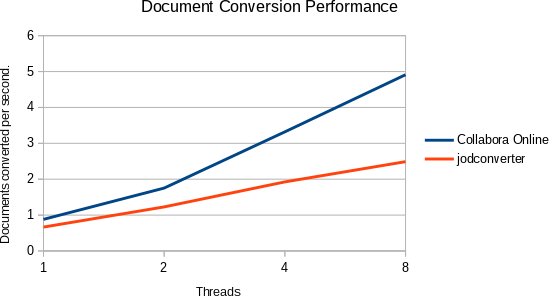 with Miklos, Andras, created a unit test for thread stranding problem with fork-kit - whereby having threads lurking around at the time of a fork - is a really bad idea. All Saints in the morning; H. played piano for a song. Back for pizza lunch plus Charlotte & Grace, took H. back to practice the organ. Home; tea; read stories; out for a drink with Chris in the evening. Drove to Aldeburgh to collect N. and H. - who had both made pretty rings with Bruce. Silver-soldering up settings and bands, and setting a stone in them - good stuff. Out to wander Sizewell beach, back for tea, home. Partner call, mail processing, admin, sync. with Eloy. Lunch, TDF BoD call, sync with Kendy. Mail chew, H. and N. off to learn some jewlery making with Bruce. Commercial call, lunch with smaller babes. ESC call. Pleased to see LibreOffice Writer used as the word-processing workload in the Powerhammer paper. Hospital app't in the morning - West Suffolk: they at least know a difficult case to be referred; good. Filed holiday, mail chew, poked at receipts & expenses. Still no voice, mail, admin; lots of friends over for lunch before Tania's funeral at All-Saints - very sad; a packed church. Back for a customer call. Plugged away at tasks variously; dinner, put babes to bed, worked in the evening. Practically no voice; not ideal; swallowing a challenge. E-mail doesn't require a voice-box however. Breakfast together at Burger King supposedly the only place open at this time - hmm; interesting engineering going on nearby - parts of a TBM(?) nearby. To the office - for a status update, and more sync with friends. Lengthy flights back, J. picked me up, lovely to be home, but a horrible throat to go with it. J. kindly dropped me to Stansted early, flight delayed by an hour - plugged away at calc, vlookup-ness. Eventually found my way to the Freiheit offices - a beautiful venue kindly donated for the hack-fest. Met up with and talked to lots of old friends. Up late talking, caught up with Miklos & Tomi at our AirBnB, some mail chew, sleep. Waded back through the accumulated mail pile; lots of things going nicely. Checked-in for the Hamburg Hackfest tomorrow - should be interesting. Worked in the morning, bid 'bye to the parents; J. drove home while I poked at calc internals a little - ESC call and chewed mail in the afternoon. Into Harrogate for Spring Harvest; not entirely convinced - but spoiled by big (free) conferences like FOSDEM that are so well run and scheduled. Some interesting content of course. Rather a rainy day, slugging in the afternoon; reading The Rise and Fall of the Third Reich - fascinating. Lunch; out to Sandra's for swimming & cake. Home tiredly, feeling rather under the weather - fuzzy head & cold-ness. Easter day - off to Jennyfields in Harrogate for a lovely Gospel-centered family service. Home for a fine roast lamb feast, out for a walk to the town castle, up the steps, back to see R&A, watched The Sound of Music together, bed.